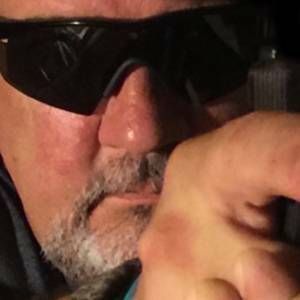 Advanced Performance Shooting – "Hope" Is Not A Course Of Action"! “Hope” is Not a course of action”! After carrying weapons for ten years in the United States Marine Corps I have been in continuous search for the perfect holster out of uniform (concealed carry). I was skeptical until I strapped this on my belt. Absolutely perfect cant, tension, fit, and concealment. Whoever these guys are, they got this holster exactly right. Just put my Galco holster in the drawer with all the others. Carry nearly everyday with an Epitome holster. Comfort and quality are unmatched. The customer service is the best in the industry. I’ve got a drawer full of holsters and business cards from other companies I’ll never use since I found Advanced Perfomance Shooting. I have had the opportunity to train with Jim several times over the past several years. He is dedicated to self defense training and is always trying to improve and stay up to date. This is a guy who never says "this is good enough". He is also never still. His training has been very safe and all levels of shooters are welcome. I also had the opportunity to have Jim make me a special purpose holster and he did a fine job with that. I have taken several different courses with Advanced Performance Shooting over the last few years. Each class has consisted of extremely high quality training in a very safe environment. This is world class training at unbelievably reasonable prices. These courses could easily be filled at twice the price. With that being said, if you are a new shooter, don’t feel intimidated, Advanced Performance Shooting has courses that are perfect for new people that want to make progress. With 33 years as a LEO, I have gone through a lot of different holsters for both revolvers and pistols. 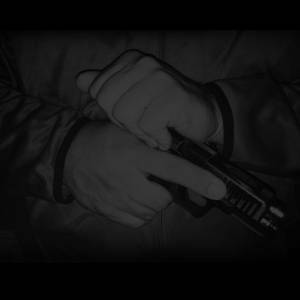 I have good experiential knowledge of what holsters work and do not work, whether leather or Kydex and whether for duty/tactical or plain clothes concealment. This Kydex holster is extremely comfortable. It is open muzzle and open top – two requirements of mine. Drawing and re-holstering are very impressive – the latter with a distinctive click. The retention is superb, i.e., just right. The magazine release is unobstructed when holstered. This holster conceals the CZ 75B extremely well by hugging the CZ 75B to my body as if were part of my physique. 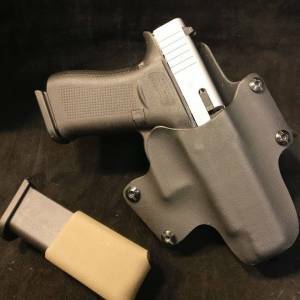 For an OWB Kydex holster, the concealment and the comfort are very impressive and second to none. I have every confidence that you will be extremely pleased as I am with this holster (and with this company) no matter what make and model pistol that you have. Advanced Performace Shooting makes some very nice kydex holsters. I have owned 3 of them and used one during a few of my pistol courses. I also carry one daily. The owner is a firearms instructor, Grandmaster pistol champ, and retired Army vet. I don't live far from APS so the turn around on my orders has been about 24hrs. One of the nice things about the High Output Holsters is the lack of space that it takes up on your belt. I've seen some %$#!& holsters among others that are more square and use a lot of real estate. I'm currently using one for my G34, other than the holster being longer for the barrel length it is the same size as the G19 holster. Retention is very good and I can't say enough good things about the service or product. I have three of these holster, hands down the best quality out there. I talked with Jim on the phone (great guy to talk to by the way). Told him what I was looking for. Told him I wanted a grip to scream Patriot when someone saw it. I ended up sending him 2 grips and 5 basepads to do. A week and change later, I got them back and they look AWESOME!!! Thanks to Jim for all that he does. Oh by the way, on the phone, Jim advised me of the free paint service for the month of March. Now, I really appreciated the info as he didn't have to say a word to me about it. Honestly, I would have gladly paid full price for the work that Jim does. One of my grips had been worked on before and the other was fairly stock (no stippling). On the one grip, Jim filled in the bottom holes and blended everything together, no extra cost! Thank you Jim for the great job!